When you make a photograph you have numerous controls over how it is going to look. When you shoot in RAW mode you have choices some of which can be made in post processing. Here is a list… let me know if I left out something. This post is going to zero in on a control most people don’t even know they have. 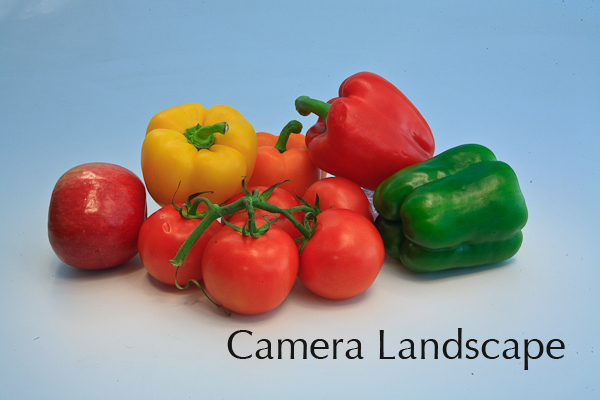 Camera Calibration… Directing the camera’s digital sensor on how to render the colors you have exposed it to. For comparison’s sake… When you use film you make choices ahead of time on how your images are going to look…. 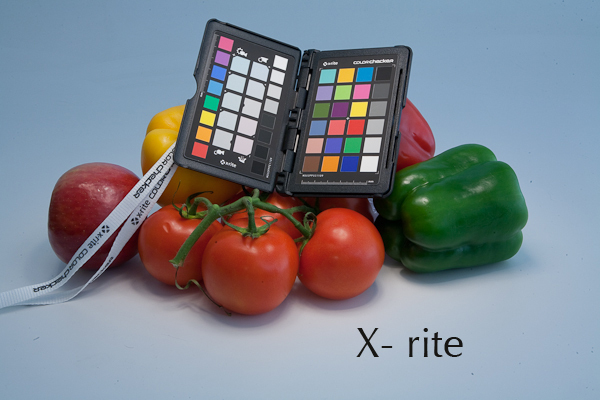 You choose to use Kodachrome (soon to be gone) or Fujichrome or one of the Ektachromes. Each is going to give you a different “look”. This is true of color negative films too. But most of the “look” from negative film comes from the profile of the paper you are printing on. Mainly you see contrast controls in color negative films these days. Amateur film in the grocery store has nasty high contrast (mostly to counteract amateurs’ tendency to underexpose film). Professional films like nps160 are soft… to make people look great. Kodak assumes you have a light meter and know how to use it (which is a risky assumption, these days). With digital cameras you can tweak the sensor readings to “profile” emphasis on certain colors and “contrast/saturation levels”. When I shoot food and architecture where we are using artificial manipulated light there is frequently no “correct” light to work with. 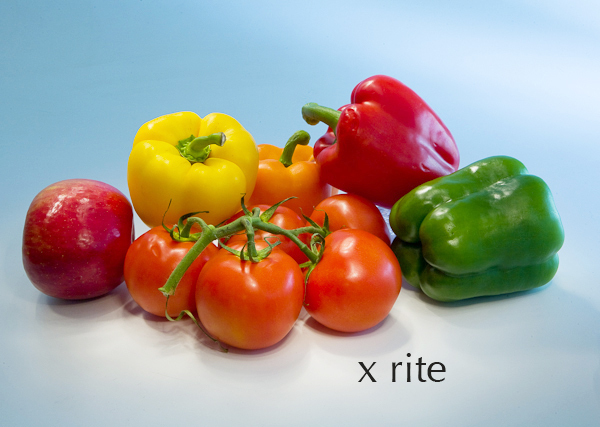 Nor does one tomato look exactly like another…. So how do you control “correct”. 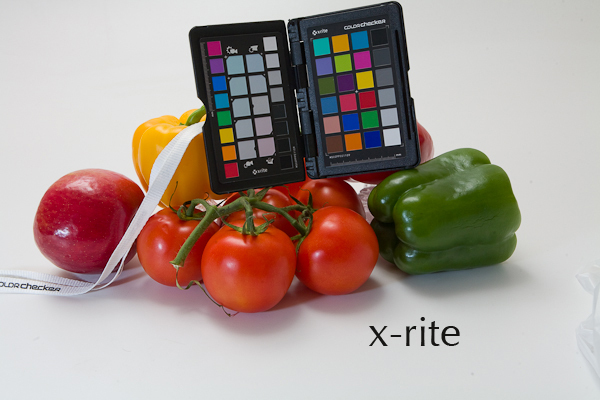 Most photographers are familiar with “white balance”. This is a way of wiggling back and forth sliders on two axes (blue / yellow and red / green) to get “correct” color. Frequently, this can get you a good looking shot. It might be “correct” but is it going to be pleasant? Is it what you want in the photo? Most of the time no. Technically “correct” people look kinda blue…. not a good thing in people. 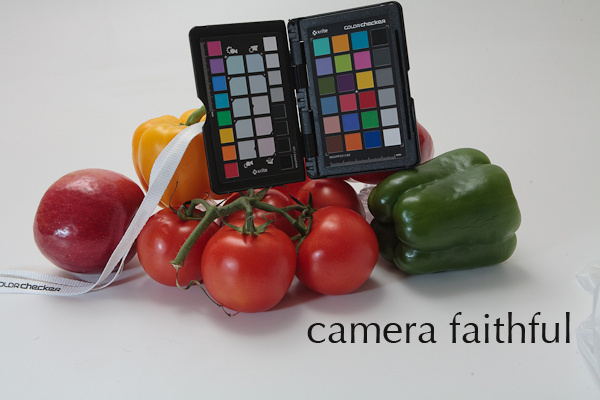 When photographing fabric and products or artwork or architecture or, the toughest… food it has been my experience that you can get one or two or three colors good but there is always that “other color” that just isn’t right. We no longer have a color balance (temperature or green shift) problem we have “color relationship” problem. Here is where camera profiles come in. They don’t change the gray card they change the relationship between colors. For a long time now the Macbeth Color Checker has been the standard to zero in on color relationships for the critical shooter (catalogs, artwork, advertising). Unfortunately lot’s of pre-press people I was working with over the years had no idea what it was for. You had to have some heavy hitter software and serious $200,000 scanners to incorporate this into the workflow. Color labs just shrugged their shoulders… no idea how to even use a gray card, mostly… No wonder photographers have literally raced to the nearest store to buy printers so they can have complete control over their prints in the last 8 or 9 years. Every one I know is tired of getting off-color junk back from the lab. 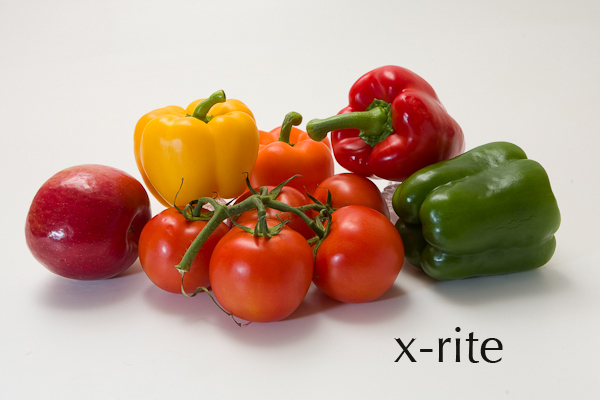 Enter x-rite. For $90 now you can incorporate a Macbeth color checker type card into your shot, use Lightroom, and make your own custom camera calibration profile for each job you do in maybe 4 minutes. 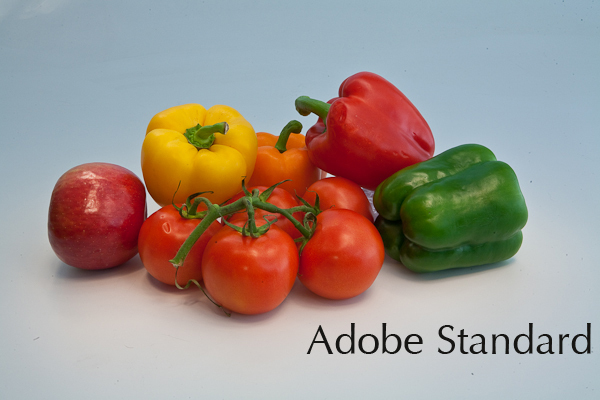 This is what most people get… if they use Lightroom or Photoshop. Because Adobe programs this profile to be the default. If you shot the photo in jpeg you are stuck with however you programed the camera with the choices they give you. 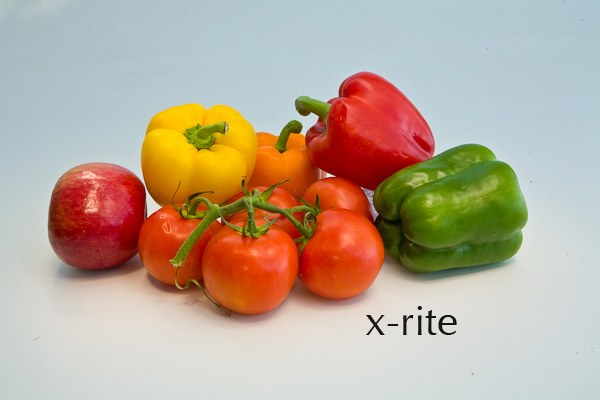 Or you can build a custom profile with x-rite and use it… make any adjustments you wish. The following samples were made with tungsten light…. A flashlight (small) painting the subject through a diffusion layer (Safeway grocery bag) for 13 seconds. Here is another x -rite version where some daylight was leaking into the background turning it more blue… the painting strokes were smaller and so shadows are harsher. Browsers (even if color managed) are poor methods of judging color. You need Photoshop (or similar Pro level image program), with the file open in the color space determined by the maker of the image, displayed with a black or neutral gray background on a 8 bit color managed/calibrated monitor to determine what something really looks like. Of course, making a print with a good printer is another way… but does introduce more variables.